This mission patch comes from Neil Armstrong's collection and was generously donated to the National Space Centre by his family. It is one of the rarest types of mission patch and also one of the highest quality productions. 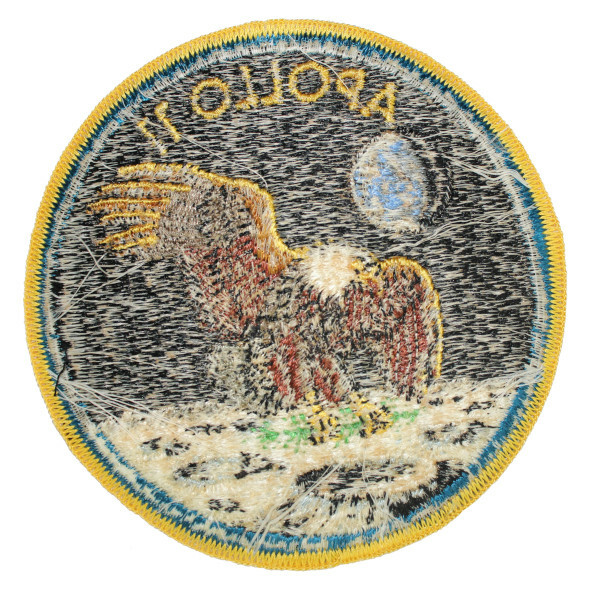 This particular patch was one of those made to be worn by the crew and the support staff that resided in quarantine after the Apollo 11 mission. Due to fears that Neil Armstrong, Buzz Aldrin and Michael Collins might bring back pathogens from the Moon, which in turn might infect Earth, all three crew members were placed into quarantine after the flight. Upon their return to Earth the crew put on Biological Isolation Garments, before entering the Mobile Quarantine Facility and eventually ending up at the Lunar Receiving Laboratory isolated from the outside world. 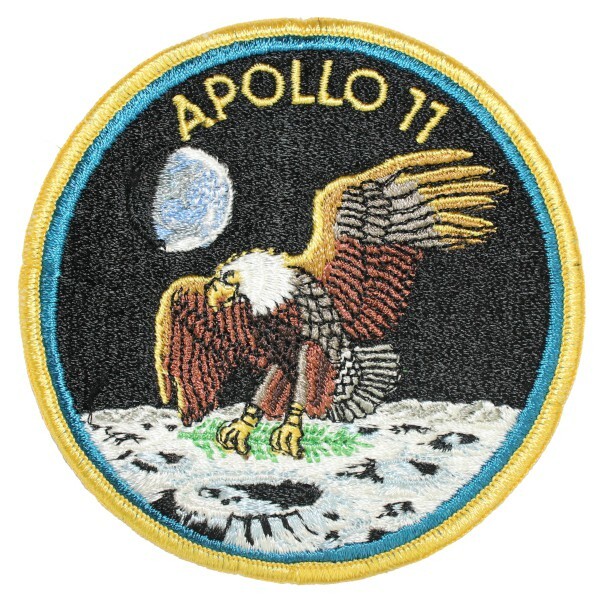 It is unknown precisely which flightsuit this patch was worn on by Neil Armstrong, although it can be ruled out that it was from his Biological Isolation Garment. 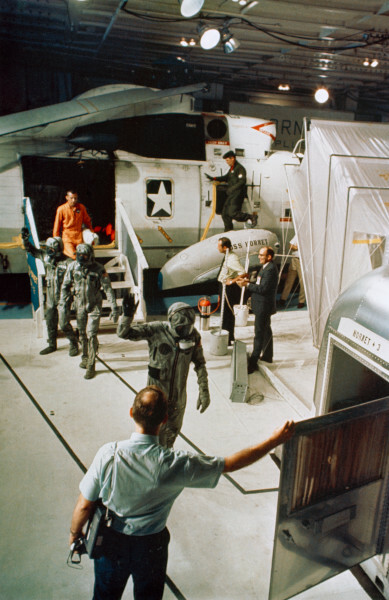 Pictures showing the crew crossing the deck of the USS Hornet on their way to the Mobile Quarantine Facility appear to reveal only a blank space where the patch should be. The astronauts removed these patches and gave them as spontaneous gifts to the helicopter crew that had recovered them from the Pacific Ocean, after the Apollo Command Module had splashed down. 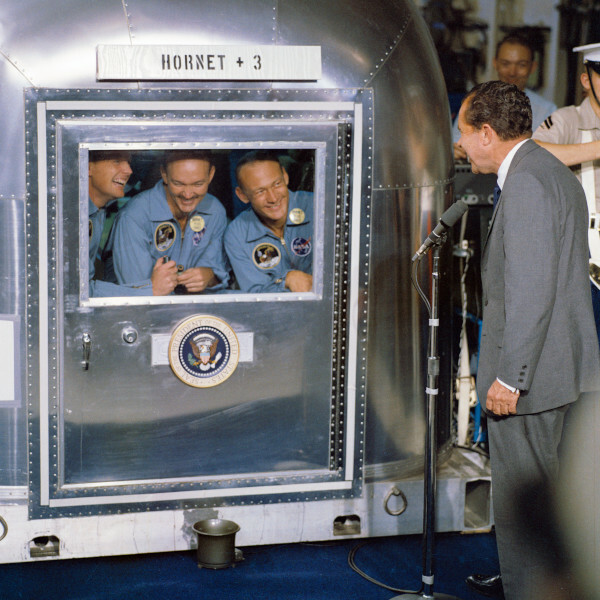 The patches worn in the famous photo of President Nixon addressing the crew in the Mobile Quarantine Facility is of the same design as this one. Fully embroidered with merrowed edges. Fully embroidered patches are those that have no part of the underside left exposed. Instead the whole design is made up of threads, without using the underlying base-layer to make up the background colours.